How often do you get to spend time with just your girls? We mean uninterrupted, laugh-until-your-sides-hurt, responsibility-free quality time? A memorable getaway is the best way to really reconnect with your girlfriends. If you’re looking for a spot for your annual best friends’ trip, cousins’ reunion, bachelorette party, or end-of-year PTA celebration (hey, moms like to let loose, too), Secrets Resorts in Mexico are filled with fabulous perks and set alongside beautiful beaches. Tucked away on one of Riviera Maya’s most stunning and secluded beaches, this adults-only resort – winner of Condé Nast Traveler’s “Readers’ Choice Award” and cited on Travel+Leisure’s “T+L 500 World’s Best Hotels” – is all about the opulence. Elegant suites are outfitted with a four-poster bed, Jacuzzi, satellite TV, Nespresso coffee machine, and a furnished terrace or balcony with Instagram-worthy ocean views. A shimmering infinity pool and swim-up bar provide the optimum setting for sheer relaxation, and you’ll enjoy endless gourmet fare and top-shelf spirits from exquisite restaurants and stylish bars and lounges. Spend your morning swimming in one of 13 pools, take an afternoon cocktail class, then grab a late-night bite at the 24-hour Coco Café. 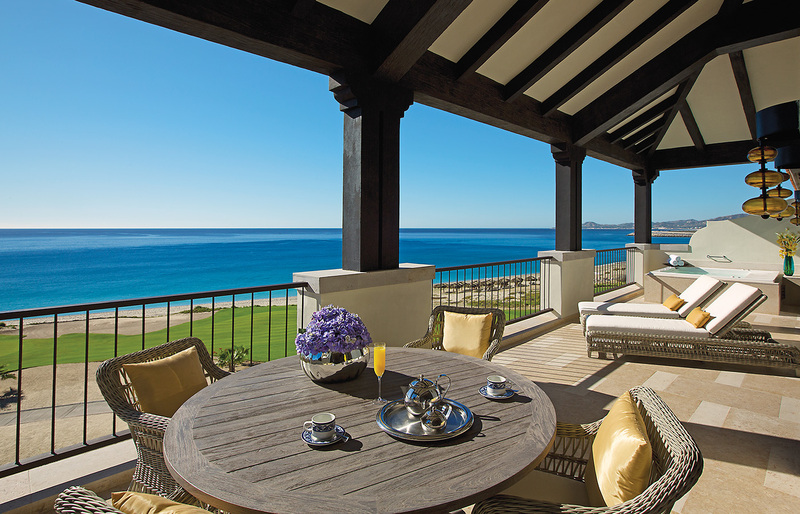 Or go west to find the same special perks in Los Cabos, where the all-suite Secrets Puerto Los Cabos Golf & Spa resort provides the ultimate adults-only Unlimited-Luxury® escape in the exclusive community of Puerto Los Cabos on Mexico’s brilliant Sea of Cortéz. The rooms and suites are graced with contemporary luxuries and accented with authentic Mexican-style decor, creating richly inviting spaces where you can relax and unwind. Full baths with whirlpool tubs connect to spacious bedrooms featuring plush king-size beds, and private terraces are furnished with comfy chairs and spectacular views. Dip into two outdoor pools, or head straight to the beach. Later on, get together for wine tastings, cooking classes, dance lessons, and lively theme nights. 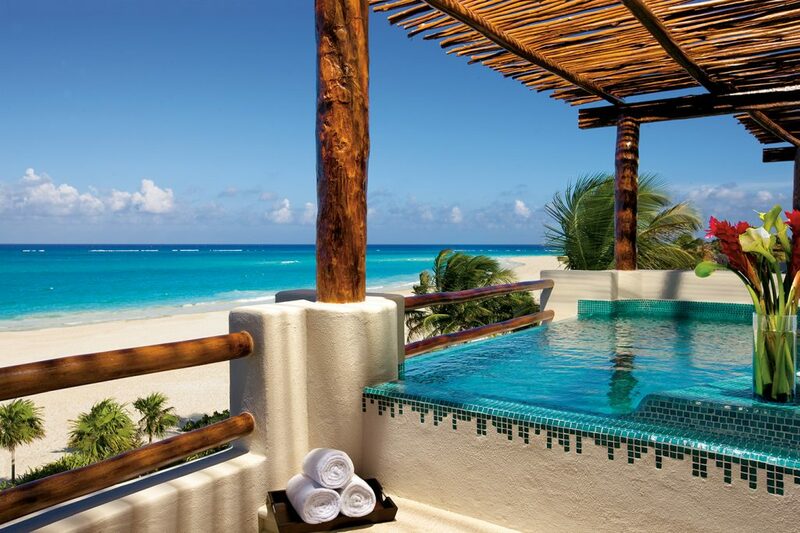 If you’re looking to experience an even higher level of luxury, Secrets Resorts’ Preferred Club has you covered. Enjoy an upgraded suite, access to an exclusive lounge, special concierge service, daily continental breakfast, afternoon hot and cold hors d’oeuvres, and other enhanced amenities. 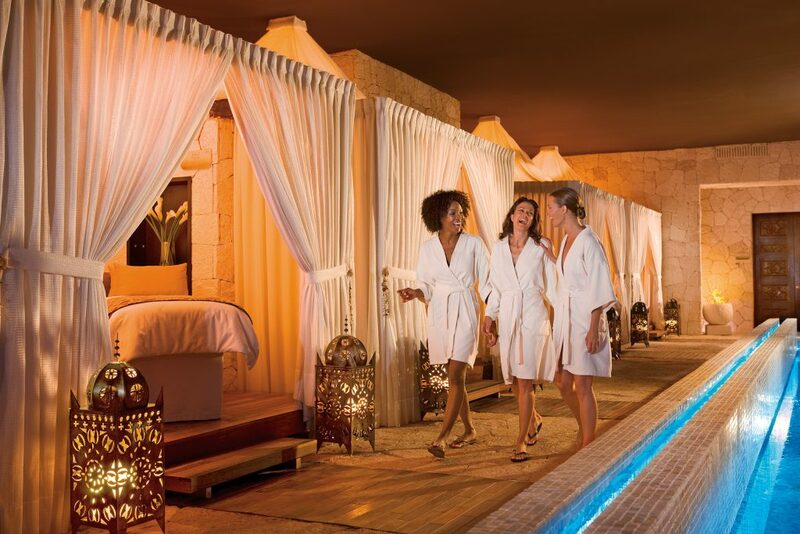 On top of all that luxury, there’s Secrets Resorts’ Girlfriends Getaway Package, where each girl will enjoy a mani/pedi session, access to the spa’s wet areas, and an additional 10% off extra spa treatments (such as dreamy seaweed wraps, aromatherapy, and hot stone massages) at the magnificent Secrets Spa by Pevonia®. Also included are daily yoga sessions and special room service one morning, complete with mimosas, fruits, and pastries. So, gather your girlfriends for a memorable vacation together – because you know you all deserve to reconnect. Together with GOGO Vacations, your local travel agent will get you there.